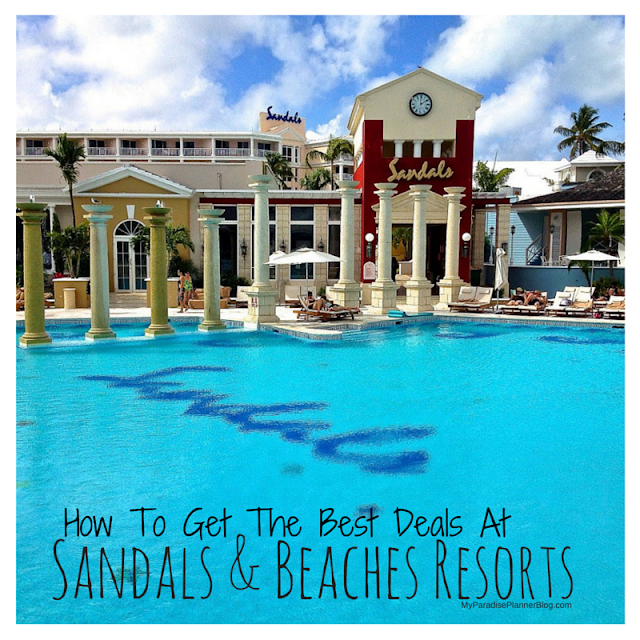 Is Sandals Resorts Really Worth The Money? After years of being an avid lover of all things Sandals Resorts and Beaches Resorts, I was finally able to show my family why I love this resort chain. It took a year of planning, but I brought both my mother and father, my younger brother, my grandmother, and my aunt on their first ever trip to Sandals Resorts. 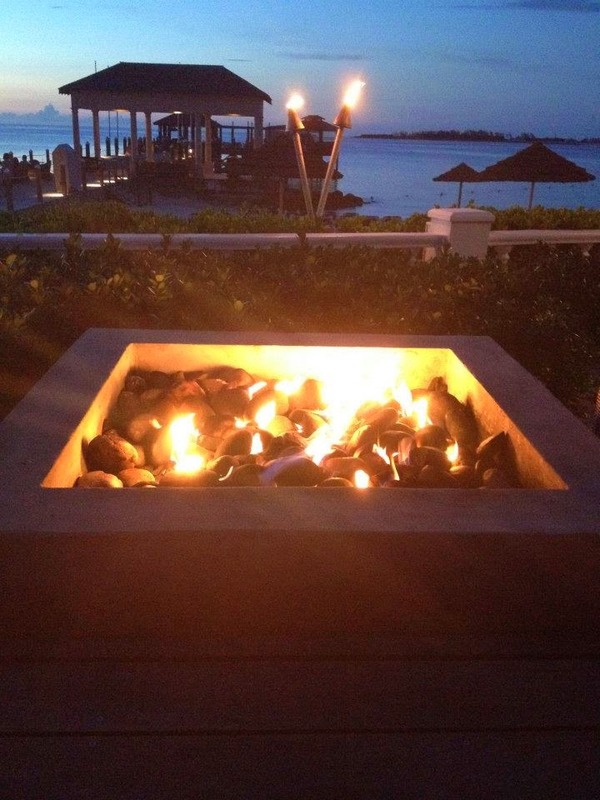 We stayed at Sandals Royal Bahamian, which over the years has grown to become one of my favorite Sandals properties. It was during this trip that I realized how important it would be for me to write this blog post. 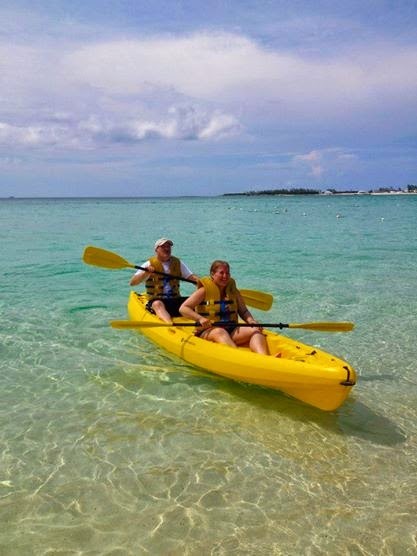 Not only am I frequently asked if the price you pay to stay at Sandals is really worth it; but watching my family experience Sandals for the first time really made me do a double take on the true value of a Sandals all-inclusive vacation. The verdict is a resounding YES! And not just from me, but from everyone in our group too. 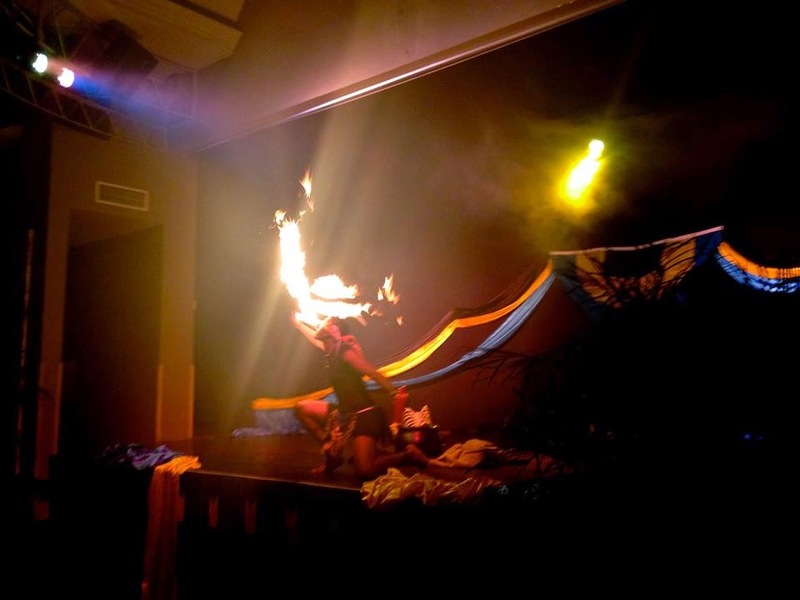 But for those who have yet to visit a Sandals Resort, you may be wondering WHY? Maybe you've been to an all-inclusive before and don't see what the big deal is. Or maybe you've done cruises and think that is a great value. But when I explain the true value of Sandals Resorts, I have a feeling it is going to change your views completely. 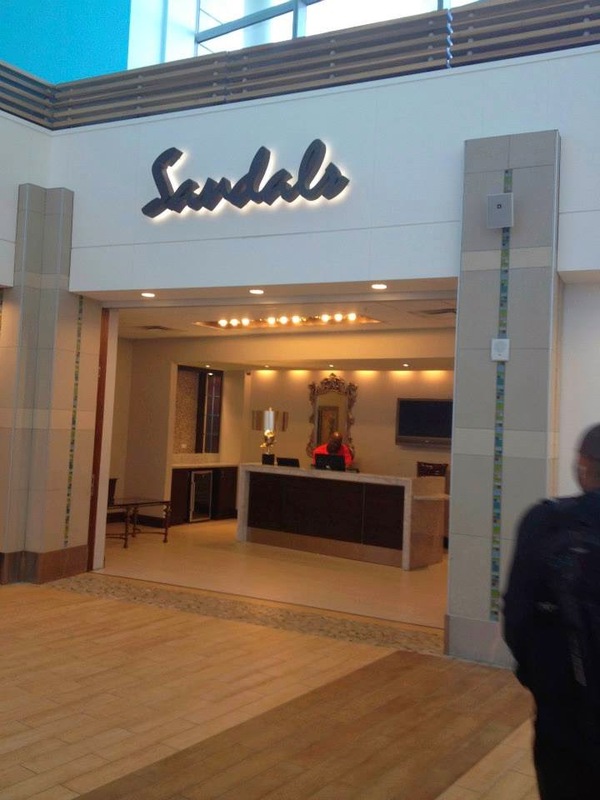 When our group arrived in Nassau we immediately we went to the Sandals Welcome Lounge. Yep-- Sandals has their own welcome lounge in the airport. How cool is that? Airport waiting lounge for arrivals. Starting off our vacation at the Sandals Lounge! From there we were escorted to our complimentary transfers. A van was waiting for our group by the curb. 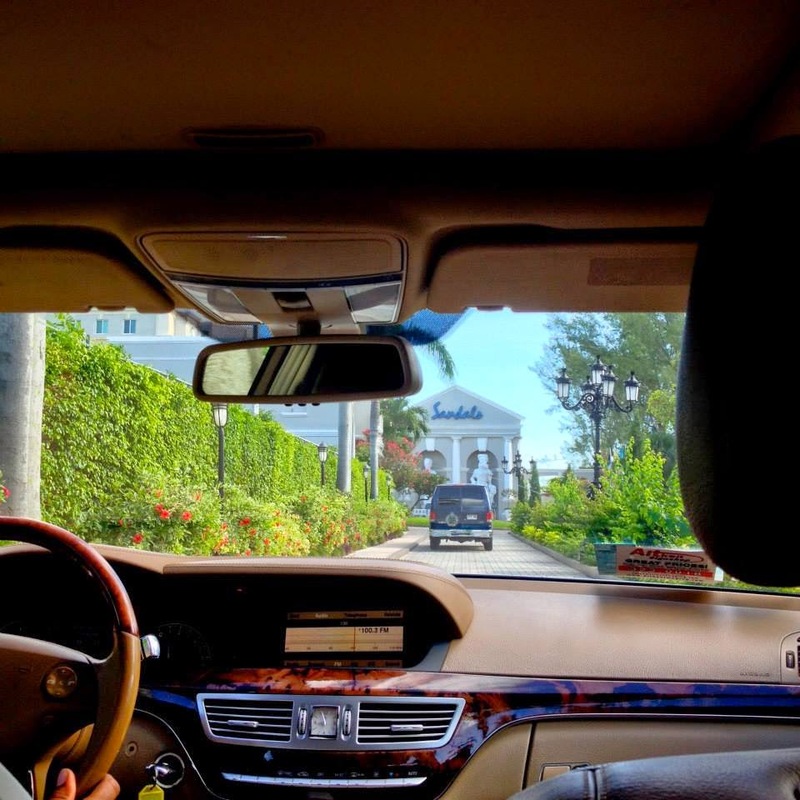 While the rest of the group got into the van, my husband and I were then escorted to our private Mercedes Benz, which is a perk for all butler guests at this particular Sandals Resort. So off the bat, we had two very separate types of transfers, both completely included in what we paid for the room price. At another resort, those could easily have cost anywhere from $20-$200 per person! But for us, it wasn't a penny extra. Our private car pulling into the Sandals property, behind the shuttle van. 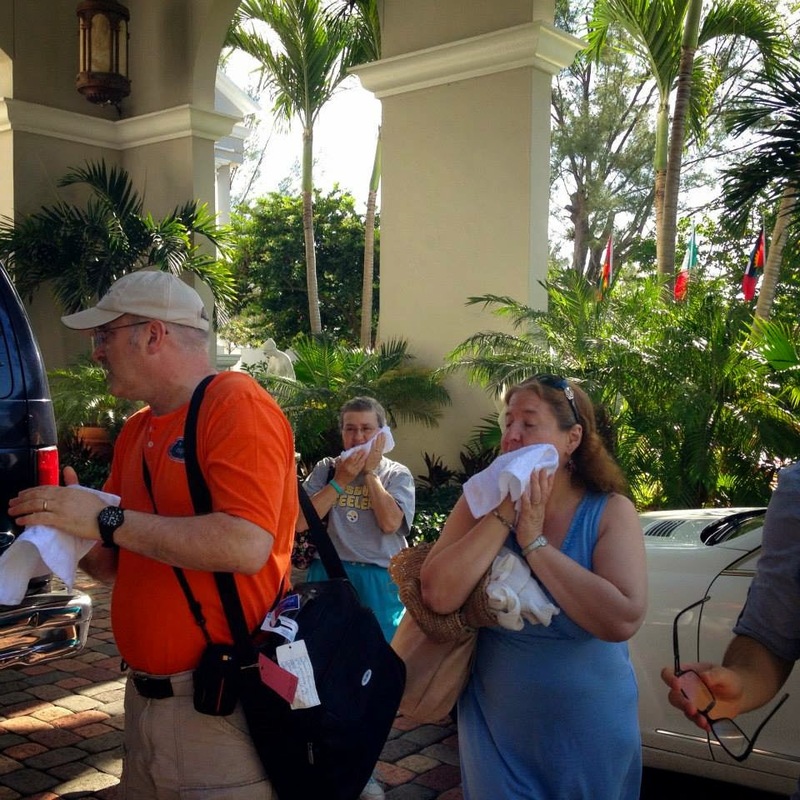 Once we arrived at the resort we were greeted with warm smiles and cold towels that smelled like a spa. Someone took our bags while we were busy pressing cool towels to our face. Then we were whisked away to the check-in lounge where we sat in comfy chairs and were given delicious mimosas while we were checked-in to the resort. 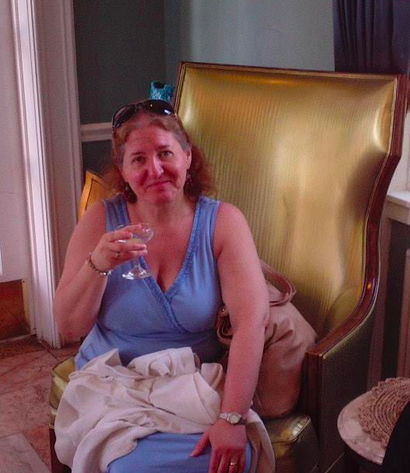 My mother, enjoying the Royal treatment. 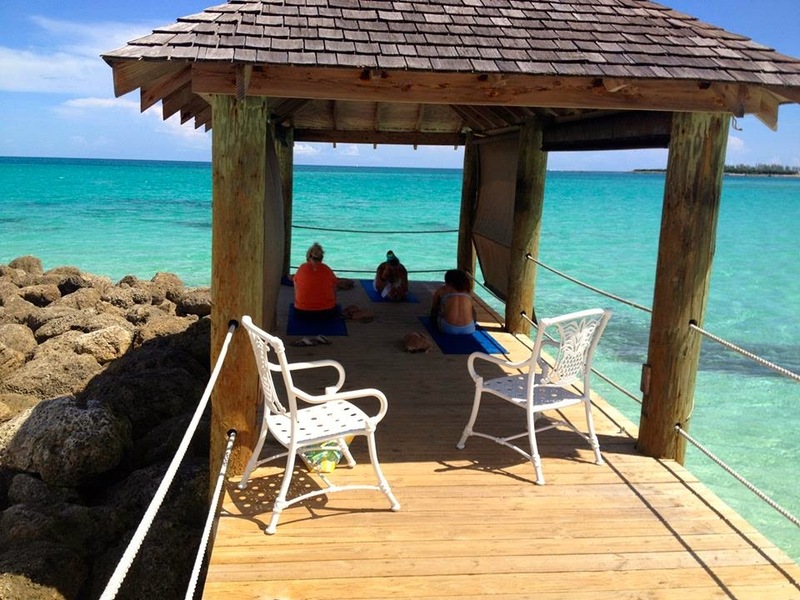 We were pleased to learn that even the wifi was included as we were Club Sandals Concierge and Butler level guests. Any restaurant we wanted to dine at, we could dine at. Some days we'd go get the buffet for breakfast then grab a few pizzas for lunch, and then order room service and come back down for dinner a few hours later. 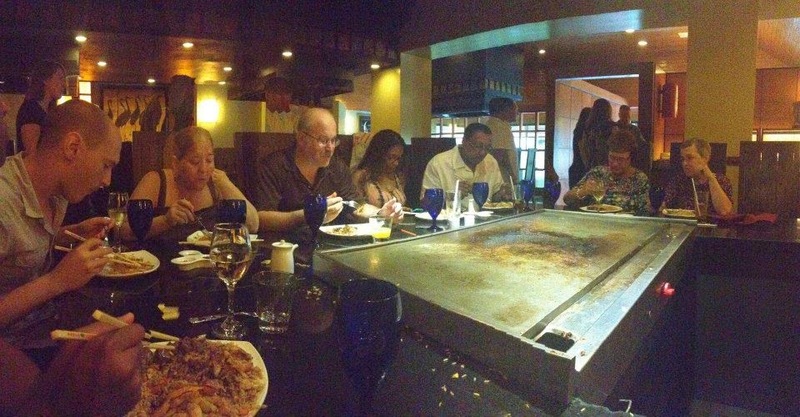 Dining as a group at the Japanese hibachi restaurant on property--- all included. 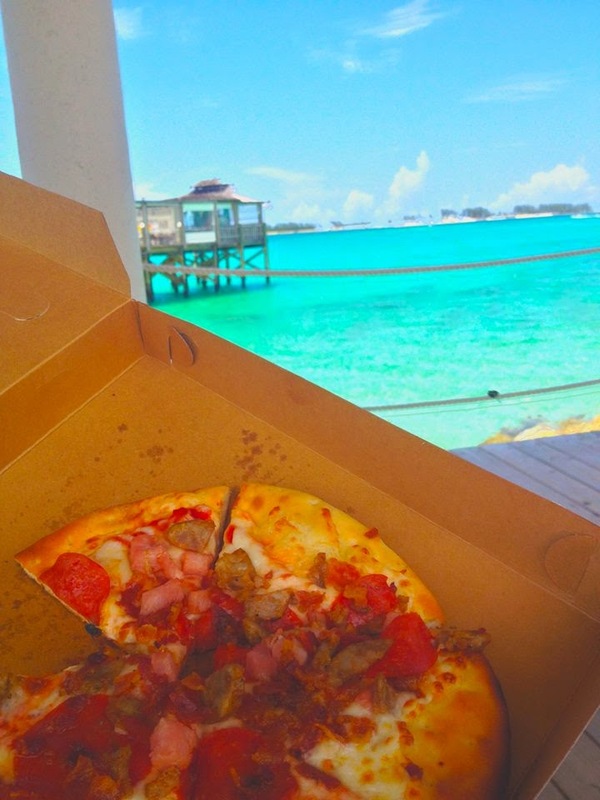 Enjoying some pizza with a view! No matter which one of the 10 restaurants on property that we ate at, the food was delicious. And the views from some of them were incredible! 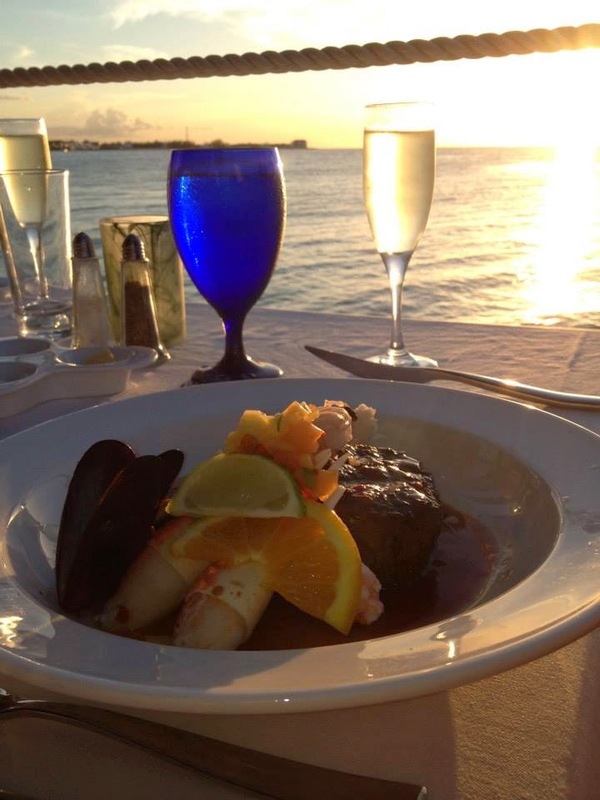 Filet minion, lobster, and crab claws... all with THIS view! 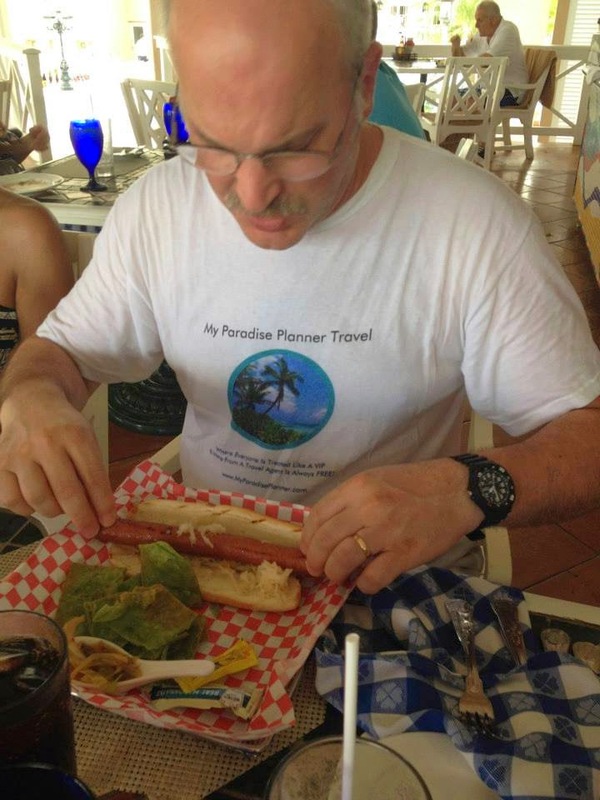 Even my father, who is a super picky eater, found food he wanted to eat, and loved it. But it wasn't just dining, it was the drinks too. Now none of us are big drinkers at home, but "when in Rome"... Some of us enjoyed indulging while others were perfectly content ordering liquor-free drinks. But everyone was able to find their favorite liquor available, and all top shelf liquor too! My aunt loves wine, and she was thrilled to be able to drink as much of it as she wanted without having to worry about drinking her wallet away. The best part was, it's Beringers! No yucky cheap wine. Four delicious types of Beringer wines (two white, two red) available at all times for all guests. My father loves his amaretto and orange juice, and while we joked about how he cleaned the whole island out of both, the joke would really have been on him at check-out if he had to pay for each drink individually. We weren't even allowed to tip, as per the no-tipping rules of Sandals Resorts. Which was wonderful considering it meant we didn't have to carry cash with us in the pool or worry about signing receipts with wet hands. Cheers to not paying for drinks and not having to tip! Sure, our waistlines were expanding a little from all that delicious food and those sugary tropical drinks. But that's what all those free activities were for! Some of us preferred to go to the gym. 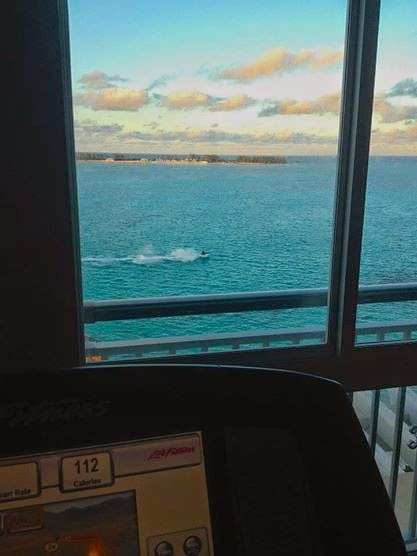 Those that did, got this amazing view while they worked out. My mother-in-law (who also joined us on this trip, but had been to Sandals before) enjoyed the complimentary morning Yoga and Zumba classes. Complimentary Yoga on the pier in the morning, with an instructor! 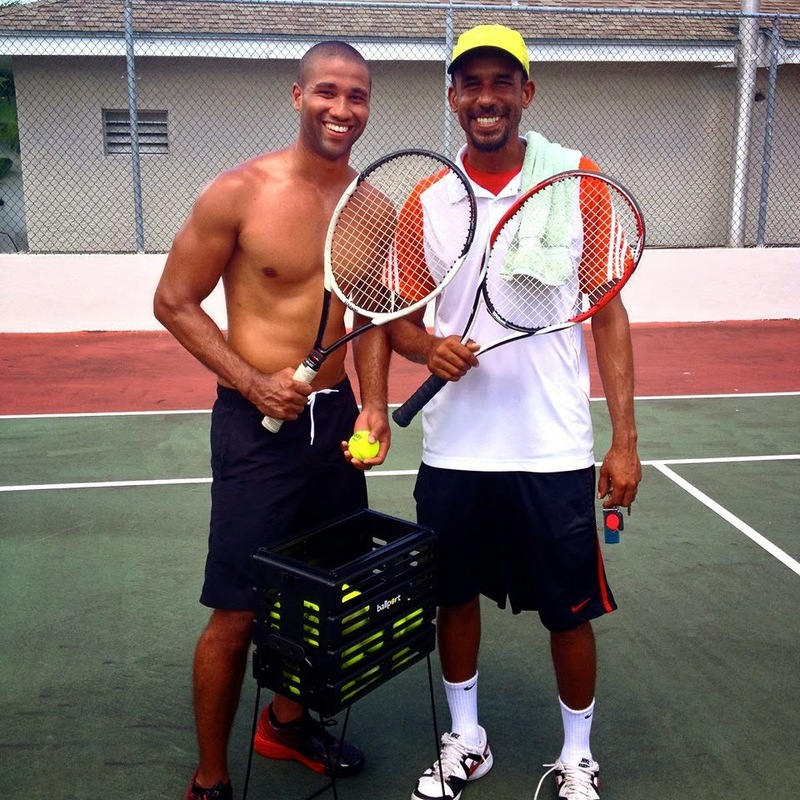 My husband and my brother took advantage of the free tennis lessons in the mornings. Free lessons with a tennis pro. Some Sandals Resorts also offer golf and golf lessons, but unfortunately this one did not have that available. But that was okay as none of us were golf lovers. 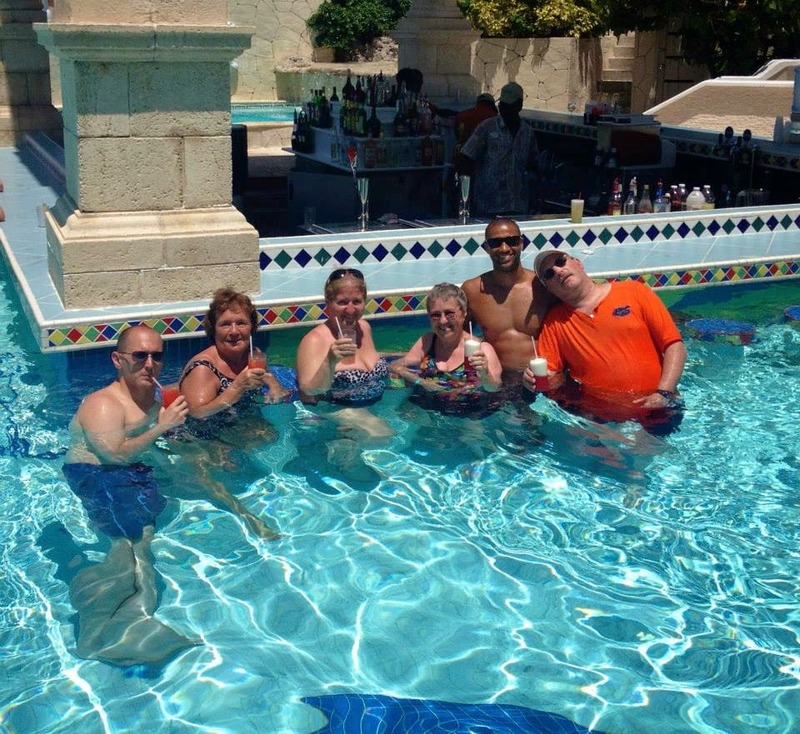 We did enjoy a few games of pool volleyball during our stay too. But never made it to the sand court. It was just too much fun to play in the pool! 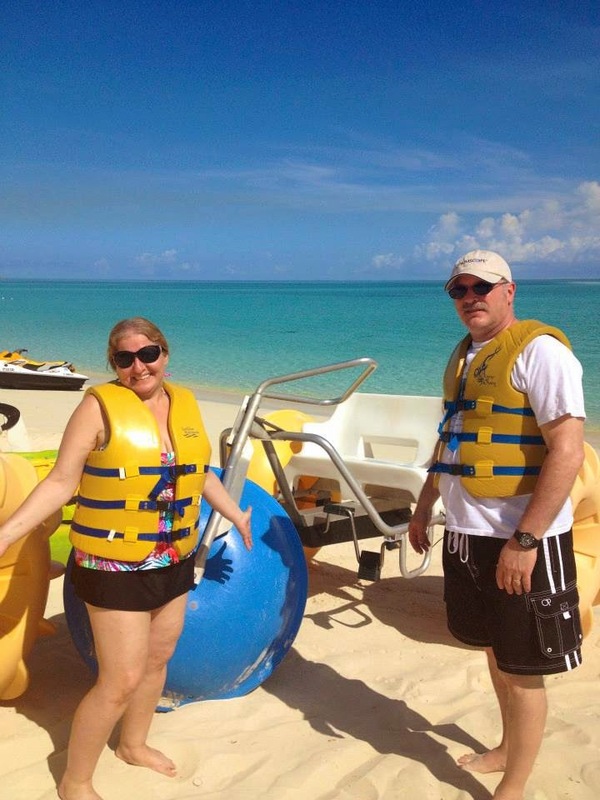 My parents took advantage of the unlimited free water sports all day, every day. Water bikes? Sure why not. It's free! My grandmother and her sister grabbed two chairs every morning and dragged them down to the surf to sunbathe. My husband loves to sail the hobie cats, so naturally, everyone took turns going out on the water with him so he could show them how much fun it was. When it was my mom's turn, I went with her. I'm not the biggest fan of it, and she wasn't either. So about five minutes in he turned around to take us back. The whole time we talked about how lucky we were that this was included at Sandals. I couldn't imagine him paying money to take the hobie cat out just to turn us around and take us back! Then one afternoon we ventured out on the snorkeling trip. Now unlike with other resort chains, Sandals and Beaches are the only ones who actually take you by boat out to different snorkeling sites to jump in and snorkel... without having to pay extra. My grandmother doesn't swim and my aunt wasn't interested in getting in. My mother, father and brother had never tried it and while my father and brother were excited, my mother was a bit nervous about it. But I convinced them all to at least come on the boat with us for the ride. So while my husband, father, brother and I snorkeled, my mother, grandmother and aunt stayed on the boat and watched. At one point my mother decided to be a little adventurous and come in with us. So she got to try snorkeling for a little while! She didn't like the mask very much so she didn't stay in for long, but at least she tried. On the boat ride back to the resort, we all agreed what an excellent value we were getting! Two of the seven of us didn't even go in the water, so that would have been two people we paid for just to sit on the boat. Then one only got in for a few minutes, so again, that could have been money wasted. But instead of worrying about the money we all got to enjoy a nice afternoon boat ride together, and some of us got to snorkel. And the best part was, we could have done that every single day if we wanted to. All included! 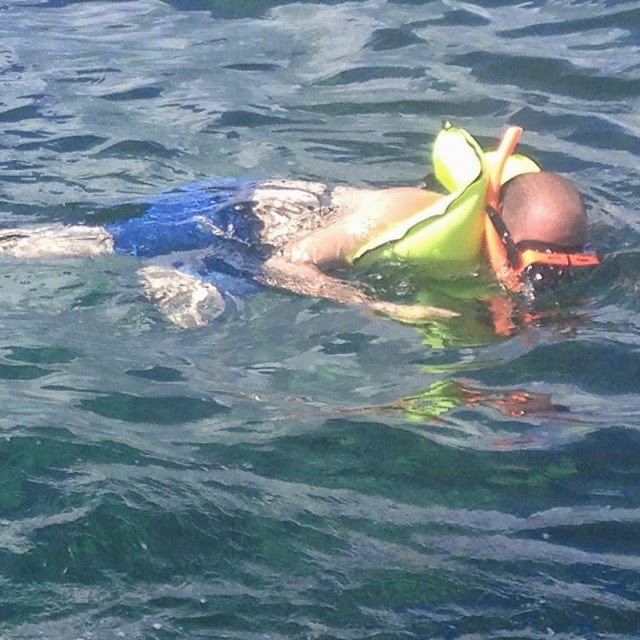 My brother enjoying his first time snorkeling. In the evenings we enjoyed the free entertainment. 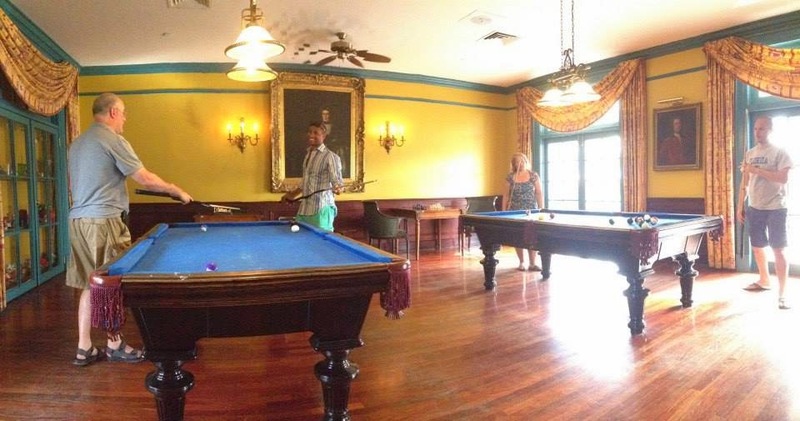 We got into the habit of heading to the pool hall to shoot pool, play snooker, or play checkers before or after dinner. 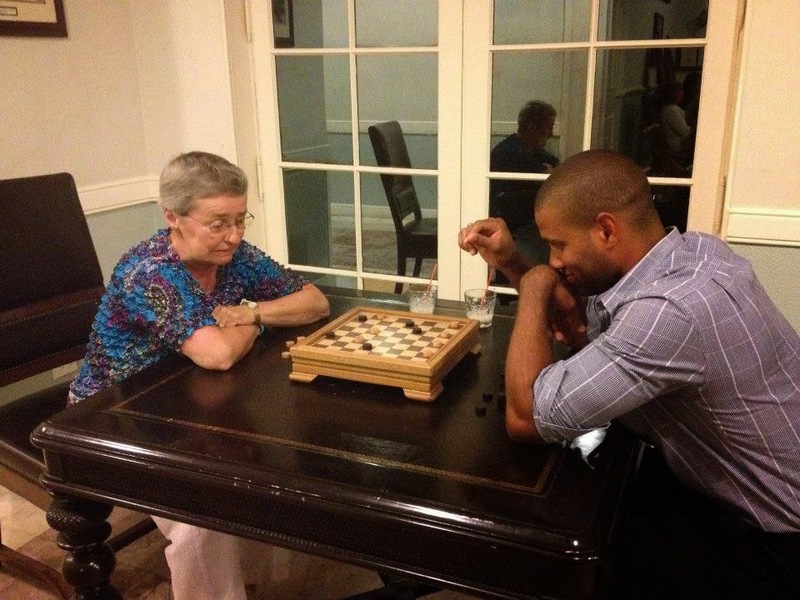 Guess Granny is losing the game of Checkers. Some evenings we'd just sit outside and listen to the musicians playing live. Some nights it was jazz and classical, other nights it was reggae. 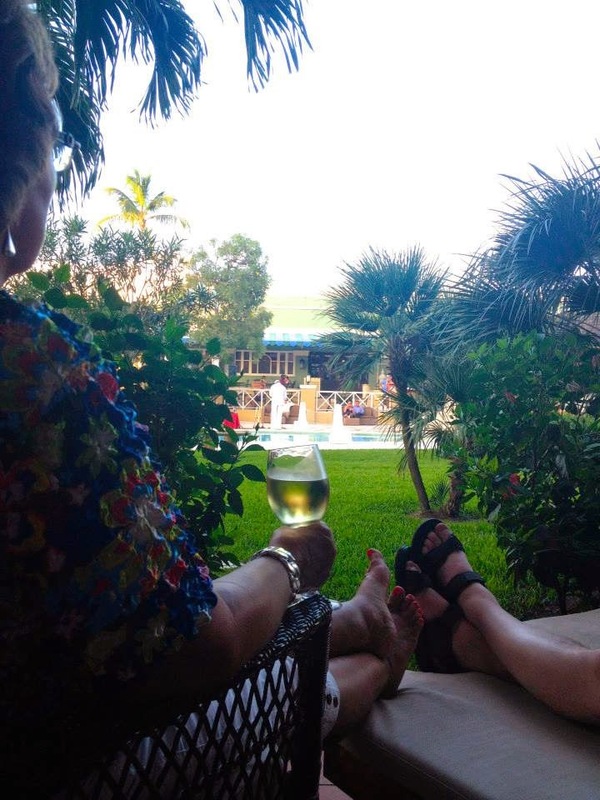 Our group enjoyed sitting on our patio, drinking some wine, and listening to the live music. Some nights the live entertainment was in the theater. We saw dance shows, art, magic, and more. There was even a fire breather! 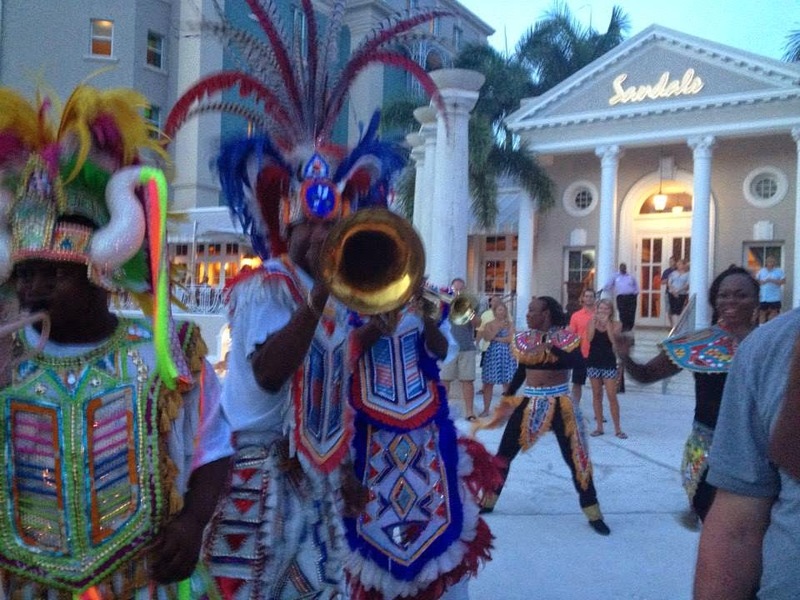 One evening the local Junkanoo band came around and played for the resort guests. 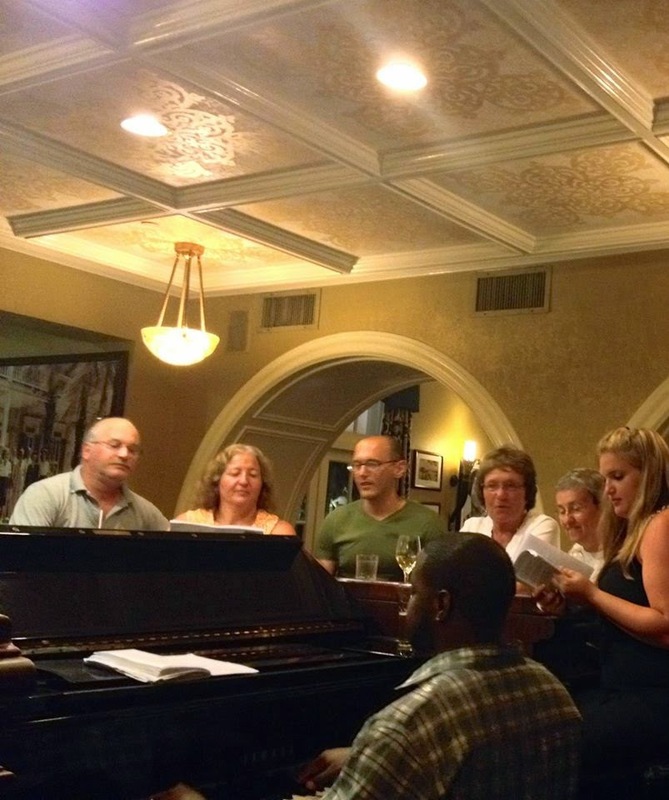 One of our favorite activities was just sitting around the piano bar singing classic hits. It was so much fun to kick back, have a drink and belt out "Sweet Caroline". 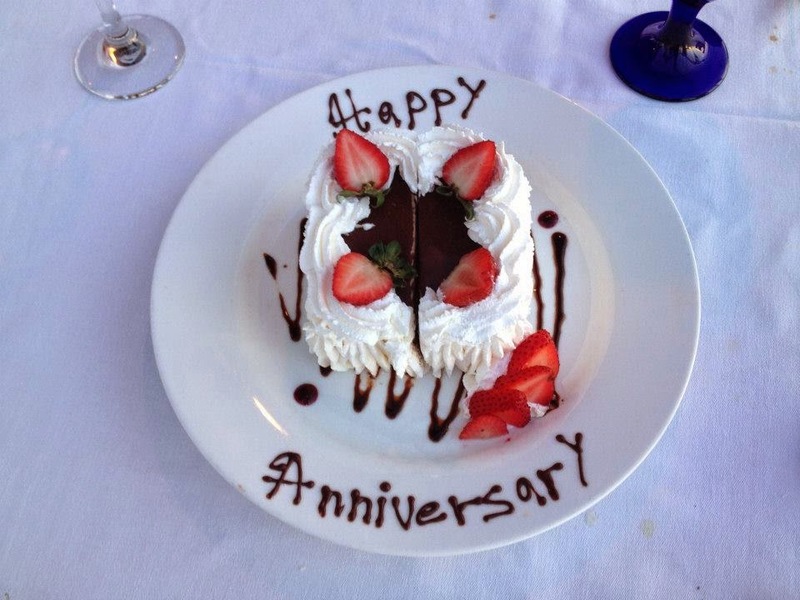 One evening, they even celebrated our anniversary, without us having to pay a penny extra for it. complete with a Happy Anniversary song sung by the wait staff! They at least do an awesome job of making it more romantic and comfortable to enjoy watching them! Watching the sunset from the fire pits. But one of our groups' favorite parts of the trip was the complimentary unlimited toiletries. Yes. I know that sounds weird. But having been to Sandals many times before, I prepped them for not having to pack lotion, body wash, shampoo and conditioner. I knew the Red Lane Spa products in the room were excellent so they could save some room in their suitcase. Most resorts give you basic toiletries that you wouldn't even want to wash your hair with, but at Sandals their products are so good they started selling them online because guests would get home and wish they had more! My aunt's already placed an order and we've only been back home for a month now. By the end of our amazing stay, many of our group members managed to check out of the resort with a ZERO balance. Those that did have a balance had a minimal one from the stuff they charged to their room at the gift shop. But that was it! It was all 100% completely included! And because of that, I now have my family hooked on Sandals. No other resort chain will ever do. Mom and Dad didn't want to leave. For those of you who know what it is like to check out on your last cruise day with a four figure balance from drinks, speciality restaurants, excursions, etc. 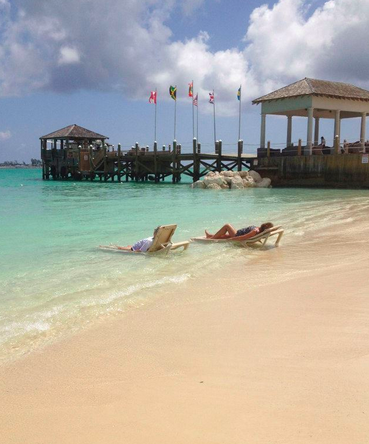 You'll understand why a vacation to Sandals is actually worth every single penny and then some. For those of you who have been to non-all-inclusive resorts and had to pay for transfers, meals, drinks, activities, excursions, and more. 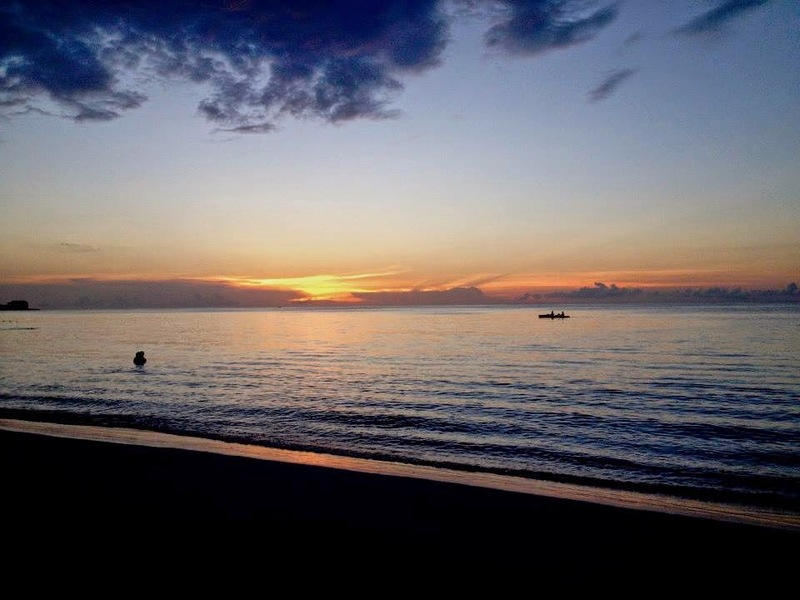 You'll understand why a vacation like Sandals is worth every penny and then some. 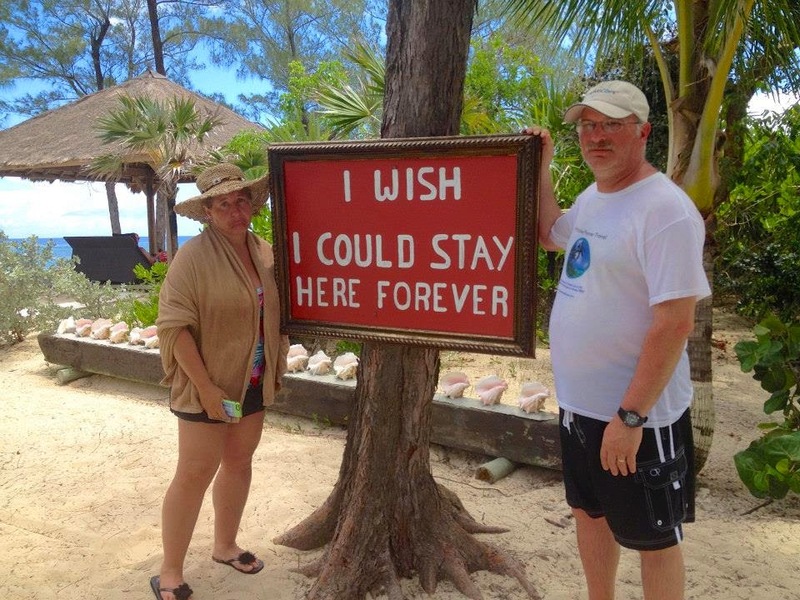 For those of you who have been to a regular all-inclusive resort and still had to pay for things like snorkeling excursions and scuba diving. Plus you had to dive into your pockets to tip everyone in order to receive excellent service. 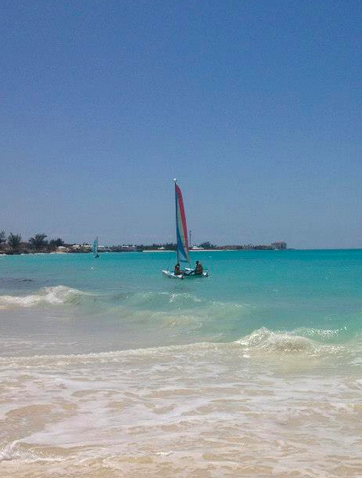 You'll understand why a vacation like Sandals is worth every penny and then some. There is absolutely nothing in the world like checking-in to a resort, locking everyones wallets up in the room safe and not seeing them again until you pack to go home. There is no better feeling than having the vacation of a lifetime and then getting a bill at the end of your stay that says $0.00. Sandals makes that possible for their guests. 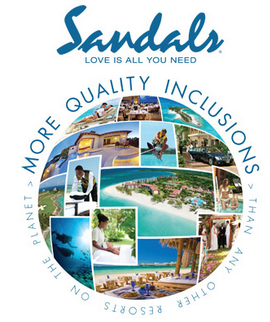 The best part is, it doesn't matter what Sandals Resort you visit, it's all going to be the same inclusions. Next time you price out a Sandals vacation and wonder why it's cheaper to go to Mexico, hopefully you'll remember this blog post and remember that for that difference in the price, you're getting MORE. More quality. More inclusions. 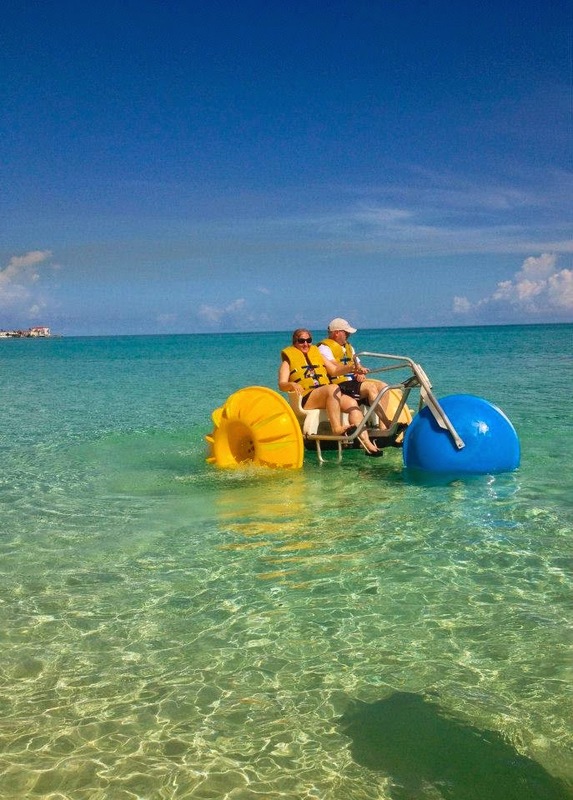 Only at Sandals. So are YOU ready to have the time of your life at Sandals?